Blockbuster Unveiled – Good Evening Goodgame! 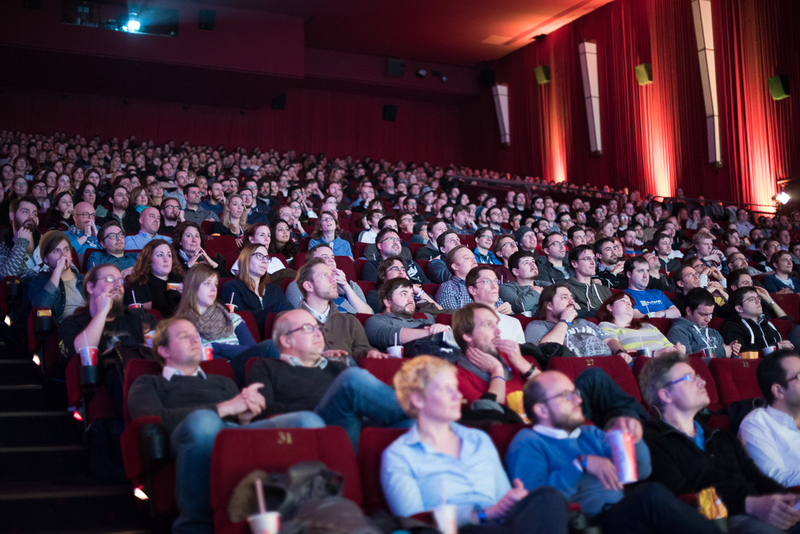 Over 1000 Goodgamers gathered for a remarkable evening of “Good Evening Goodgame”- our very own version of all employees meeting. 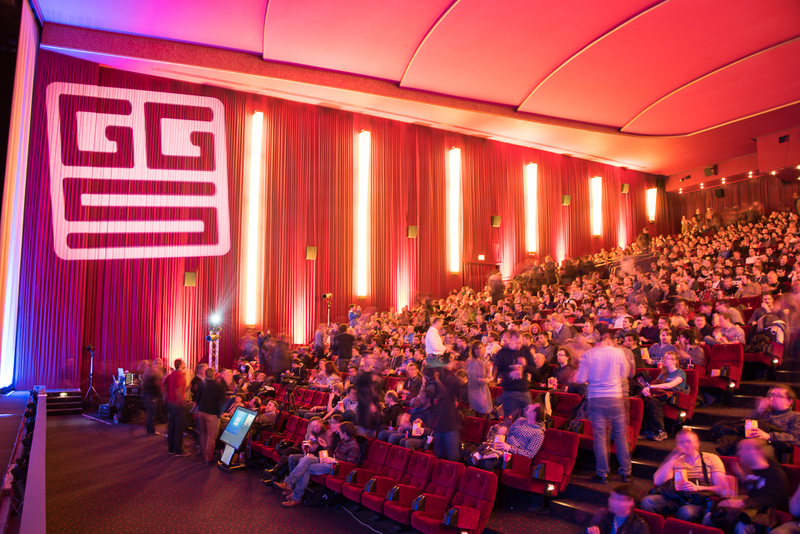 We pride ourselves for being innovative and true to the word, we took over an entire CinemaxX movie theater for our all employee event. 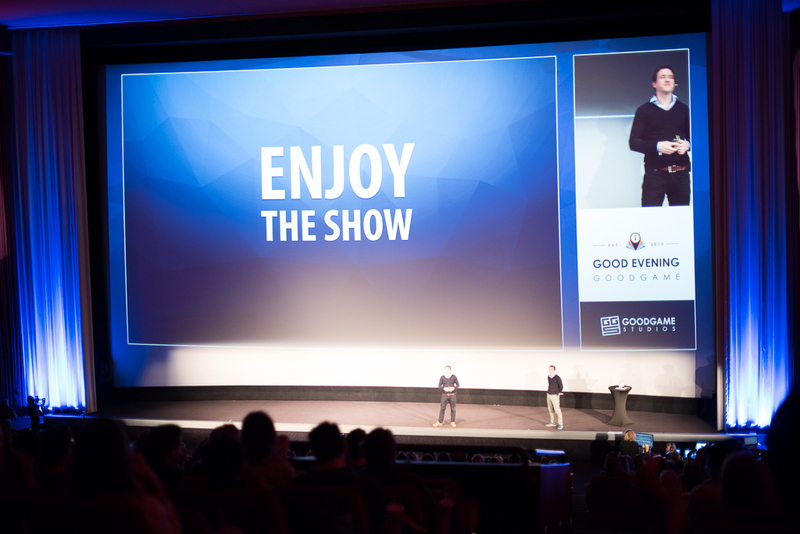 The CinemaxX theater was radiant with the blue and white colours of Goodgame Studios and to give it a real movie theater feel all Goodgamers enjoyed delicious welcome treats of currywurst, popcorn and more. 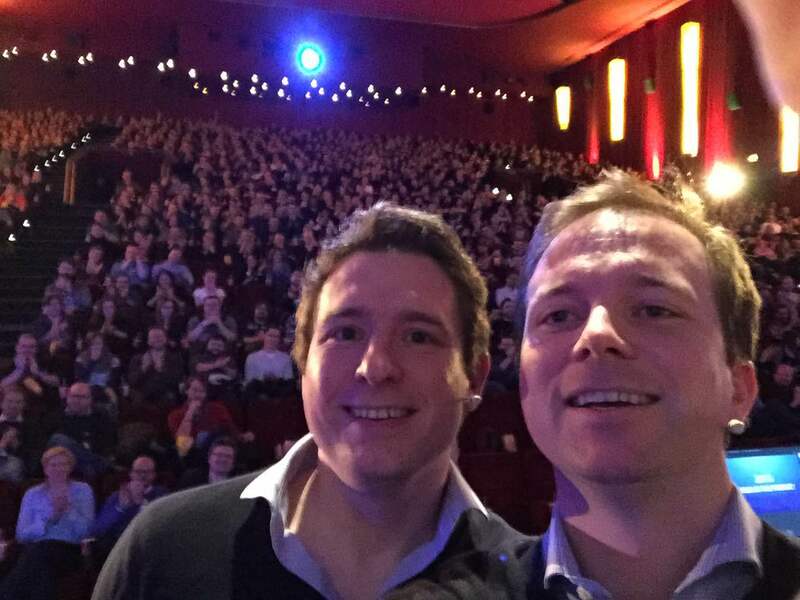 The main highlight of the evening was when our founders Kai and Christian Wawrzinek shared the company’s plans for 2015 while reminiscing the learnings and success of 2014. With robust plans to expand our product portfolio, new employees and customer base, 2015 has all of us geared for success. We were also lucky to get a sneak preview for some of our exciting new projects and gosh did they leave us with goosebumps! With creativity at its best, our inhouse film team put together an inspirational video to take us down the memory lane of how technology has evolved and how lucky we are to learn and progress from it. Excerpts from the video with famous leaders and their bloopers made us chuckle, for instance when Thomas Watson , CEO of IBM in 1943 said that there is a world market for only five computers. He was certainly proven wrong! 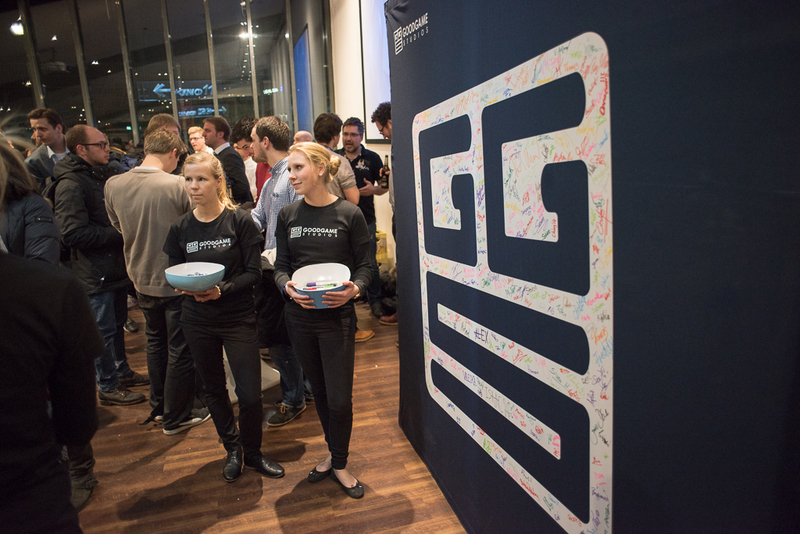 Additionally they made a tribute video which included names of every single Goodgame employee thanking them for their contribution. Goodgame Studios believes in transparency and an egoless culture, thus to lead by example our management team revealed our brand new core values. These core values promise to sustain and improve our great work culture. We guarantee you that the audience thoroughly enjoyed the show as their cheers and applauds spoke louder than words!